Shane Ray sits injured on the field during a game in November of 2017. Credit: Isaiah J. Downing, USA TODAY Sports. Shane Ray is entering a crucial season for his career, and yet, he’s coming into it injured. 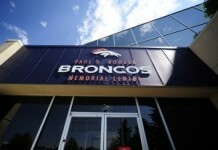 Ray is currently sitting out of the Broncos OTAs due to the wrist which he injured last year and had surgery on. Dr. Lisa Goodman of Washington Park Chriropractic joined Mile High Sports radio today, and discussed the extent of Ray’s wrist injury. 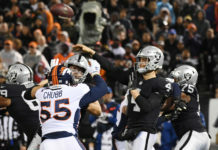 Speaking to David Hurlbut of Mile High Sports AM 1340 | FM 104.7, Goodman says it’s not a good sign that Ray is still experiencing issues with his wrist. Ray, an outside linebacker, spent most of last season on the shelf, after tearing a ligament in his wrist the first week of Training Camp. That same wrist has been giving him problems during Broncos OTAs. 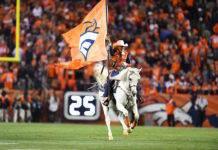 The Broncos might be smart to sit Ray until training camp commences in July, to give his wrist some time off, because this is an injury that can linger into the season, if not taken care of properly. NFL players typically play through pain, but a time comes when that pain needs to be addressed. When asked if Ray would be ready for the season, Goodman gave an interesting response. 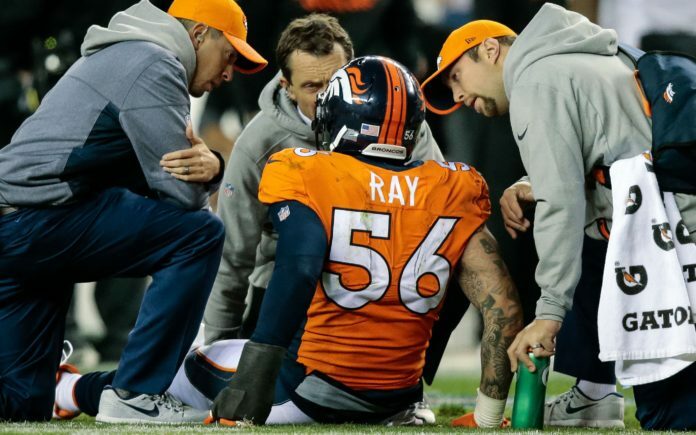 Another surgery could be the nail in the coffin for Ray’s time in Denver, but a bone fusion could keep him healthy for the season. Click here to listen to the full interview with Dr. Lisa Goodman, including what she had to say about the different supplements that Ray could be taking to insure a smooth healing process. Catch The Morning Huddle every weekday from 6a-7a on Mile High Sports AM 1340 | FM 104.7 or stream live any time for the best local coverage of Colorado sports from Denver’s biggest sports talk lineup. Download the all-new free Mile High Sports Radio mobile app for Apple or Android.